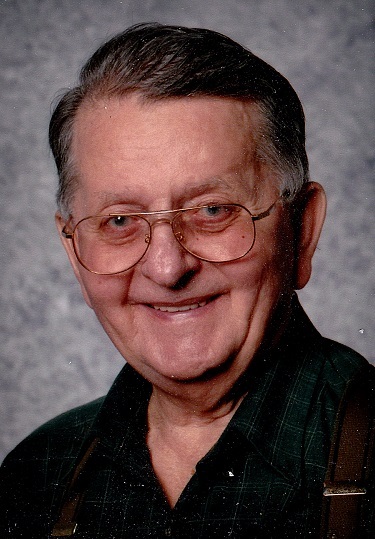 Edward “Ed” C. Faytak, 93, formerly of Albion, passed away Friday, March 29, 2019 at Pleasant Ridge Manor. Ed was born in Girard Township, PA, on August 27, 1925, a son of the late John and Ernestine (Thebery) Faytak. Ed worked for 17 years on a steamboat, as an engineer, on the Great Lakes. 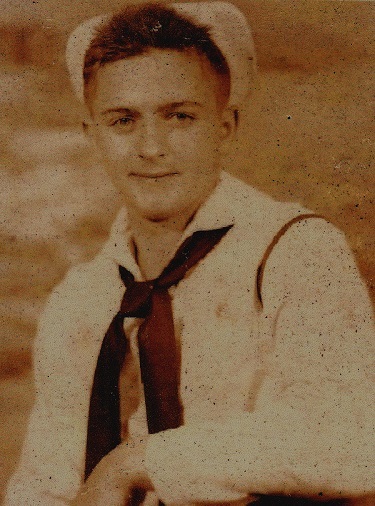 He served with the U.S. Navy during World War II. Ed was a member of the Federated Church in East Springfield, the Albion American legion, and the Tin Can Sailors. He enjoyed going to the Senior Center, gardening and flowers, and macramaeing lawn chairs. Ed farmed when he got out of the service. He also volunteered delivering meals on wheels. In addition to his parents, Ed was preceded in death by his second wife, Betty Faytak, his infant daughter, Kathleen Faytak, four sisters, Ann Hossman, Mary Dombrowski, Pauline Sockas, and Ernestine Marks, and a brother, John Faytak. He is survived by his first wife, Nora Knorr, of Albion, his children, Edward T. Faytak and his wife, Shelley, of Girard, Deborah Kephart and her husband, David, of Albion, Charles Faytak and his wife, Dianne, of Fairview, and step-daughter Diane Olson and her husband, Donald, of Carolina, his companion, Labina Fehr of Girard, three sisters, Agnes “Hun” Spotts of Arizona, Dorothy Wozniak of Cochranton, and Frances “Pee Wee” Harrington of Albion, a special niece, Patty Niedzielski, nine grandchildren, several great-grandchildren and many nieces and nephews. Calling hours will be held at the Mattera Funeral Home, 188 East State Street, Albion, on Wednesday from 2:00 – 4:00 p.m. and 7:00 – 9:00 p.m. and on Thursday at the Federated Church, East Springfield, from 10:00 a.m. until the time of a service there at 11:00 a.m. with Pastor Dr. Ed Huntley officiating. Burial will follow in Albion Cemetery with full military honors. Memorial contributions may be made to the Federated Church, 11995 Main St., East Springfield, PA, 16411. To send flowers, light a memory candle or leave a condolence, please visit https://www.matterafuneralhome.com. Our deepest sympathy to the family. Sad to hear of his passing. Ed was a great man and will be missed . Our thoughts and prayers go out to the family. Sending deepest sympathy to the entire family. A Good Man...You are Home now Ed...I will miss you. Keith. I loved and worked with both his wife Betty and Ed when we did Missions at Albion Assembly of God Church. It was a pleasure to talk with him this last year while I was at work at Pleasant Ridge Manor. He will be greatly missed! Will miss him, he loved everyone, nicest person ever! Rest in peace. Sympathy for the whole family! Our deepest sympathy to the family. We have fond memories of Ed’s kindness to us when we moved to the Albion area. Saddened to hear of his passing. My sincere condolences to the family. Click here to see all the candles that have been lit for Edward “Ed” C. Faytak.